Home / Blog » Is Your Practice Listed on Google Maps? 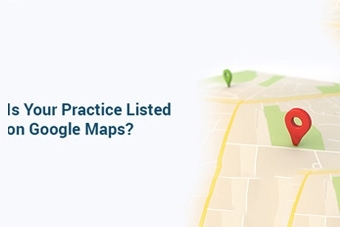 Is Your Practice Listed on Google Maps? An optimized local listing on Google is essential for your local web presence and search engine optimization, especially as a practice trying to attract patients in your area. Having your business claimed on Google is one of the best ways to help prospects find your business online when they conduct a local search on Google or Google Maps. Google My Business is a free service that complements your existing website by giving your business a larger presence on Google. With Google My Business, you get your business hours, phone number, and directions displayed prominently on Google Search and Maps. Your practice will appear front and center in search results so patients can find you easily and see what your practice is about. You can set your business hours, contact info, and more. They will find the right information easily and can get in touch with just a click! Your Practice Online will help you manage your Google My Business page. We will claim your listing on your behalf, help you set up your page, create your account, verify your listing, and upload images. Verifying and managing your business information on Google My Business is important. The information should always be up-to-date and accurate on these listings; otherwise, you may not show up on local searches and you could be losing leads to other physicians who do have an optimized listing. Contact us today and let Your Practice Online help your practice get on the map!